A 13-year-old Surrey student and her two siblings raised $11,000 in a just a few minutes to pay for an inclusive swing for their special needs classmate. Channee Sekhon told On The Coast guest host Michelle Eliot there are quite a few special needs students at her school, Green Timbers Elementary, and they deserved to be included in playground activities. To help with that problem, the school wanted to build a special swing for special needs students, but the price tag was steep at $18,000. The school could only up with $7,000. Channee’s father, Gurjinder Sekhon, came up with an idea: Channee could solicit donations from the company he worked for, Sussex Insurance. At the company’s annual retreat, Channee addressed her father’s colleagues with a speech and PowerPoint presentation about the importance of inclusion. “It’s very good that she’s very caring. I hope she continues to do that,” Gurjinder Sekhon said of his daughter. “I was very nervous on the day. I wasn’t expecting such a great turnout,” Channee said. Channee’s father was watching — and he was nervous too. 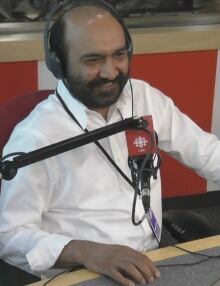 About two minutes after the speech ended, the money was put forward by Gurjinder Sekhon’s colleagues and a matching donation from the company’s head office. Channee says she’s thrilled the fundraising was so successful, and she’s glad her friend will be able to play with the other kids. “When he sees the swing, I know he’ll be happy,” she said. Gurjinder Sekhon says he’s proud of his daughter. “It’s very good that she’s very caring. I hope she continues to do that,” he said. Gurjinder Sekhon says construction of the swing will begin in August and should be finished for the coming school year.